Each route has no more than 16 stops. Each volunteer is trained by an ACMOW staff person during their first delivery experience. Each volunteer is provided a packet which includes: directions, which are turn by turn to each client's home; a pencil; hot pad; and menus. Are asked to deliver one day every four weeks on the same route. Can choose the area/route where they want to deliver meals. Deliver when there is a volunteer vacancy. Substitute drivers choose which route(s) they would like to substitute for and which days they might be free to assist. 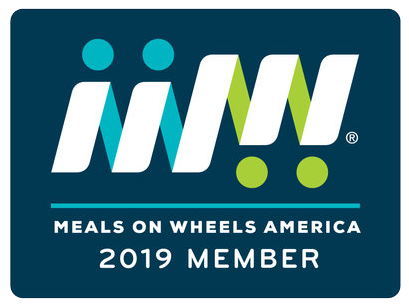 Volunteers are the lifeblood of Alamance County Meals on Wheels. 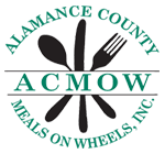 Each day, between 18 and 36 volunteers deliver approximately 250 meals to homebound senior citizens of Alamance County and surrounding areas. For many of these people, it will be the only meal they have during the day. Delivering more than just meals, volunteers provide a smiling face, friendship and care to the elderly of our community. You can make many seniors happy in just 60 minutes with just a little gas and a warm heart.